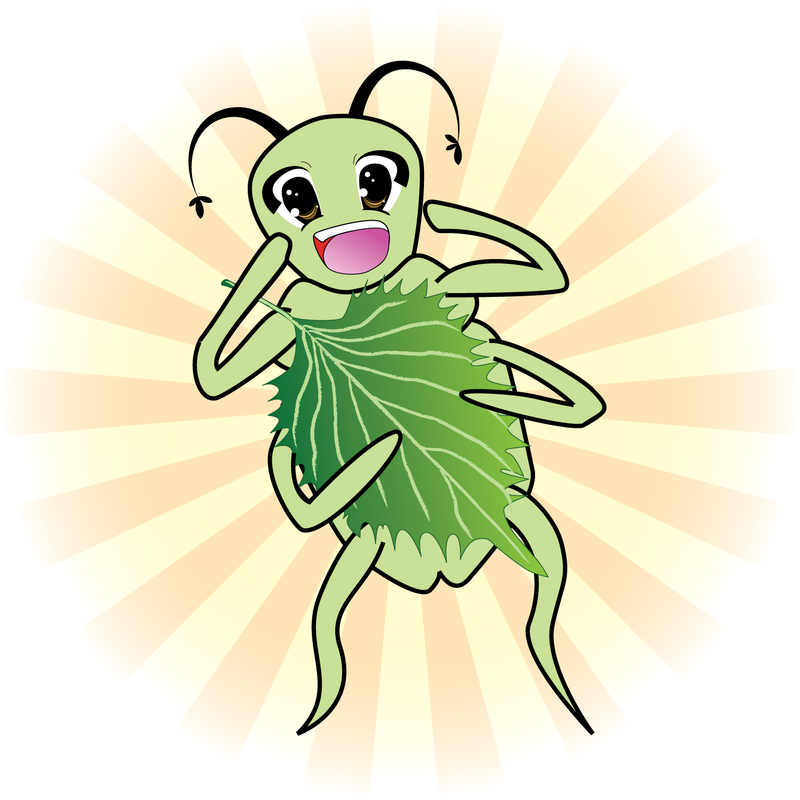 Let me introduce the Honolulu Grub Club’s mascot the Japanese Beetle, Gurabbi. The Japanese Beetle, also known as the White Grubworm in its larvae stage, has a well known reputation for its appetite. Many gardeners know of the voracity of Japanese Beetles. A beautiful garden of roses, irises, and hydrangea can be reduced to a barren wasteland by the hunger of these insects. Therefore, it is not hard to imagine these creatures saying, “oishii” (Japanese for “tasty”) as they dine on a gardener’s prized plants. Thus Gurabbi was born and is a welcome mascot to a club devoted to dining on the prized bounty offered by Hawaii’s food scene. Special thanks to our member, the I of Art, for his talent in creating this anime-style mascot.